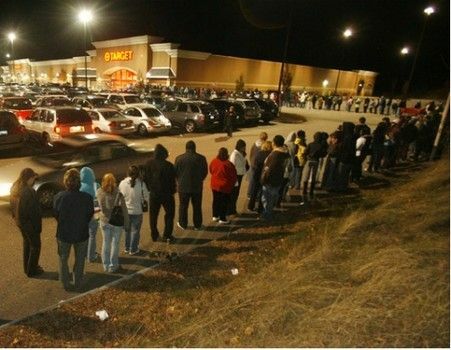 This years Black Friday (or should I say “Black Thanksgiving”) was a little different than past years. Every year I have noticed a trend; the time stores open is earlier and earlier every year. With this change in opening times, I have seen a decline in the amount of people in stores after midnight (the original Black Friday opening time). This post will talk about my experience from this Black Friday and how I planned to score the deals. This year my boyfriend and his family planned to go Black Friday shopping together. To start the evening the whole family sat down after Thanksgiving dinner and reviewed the countless ads that were in the newspaper. 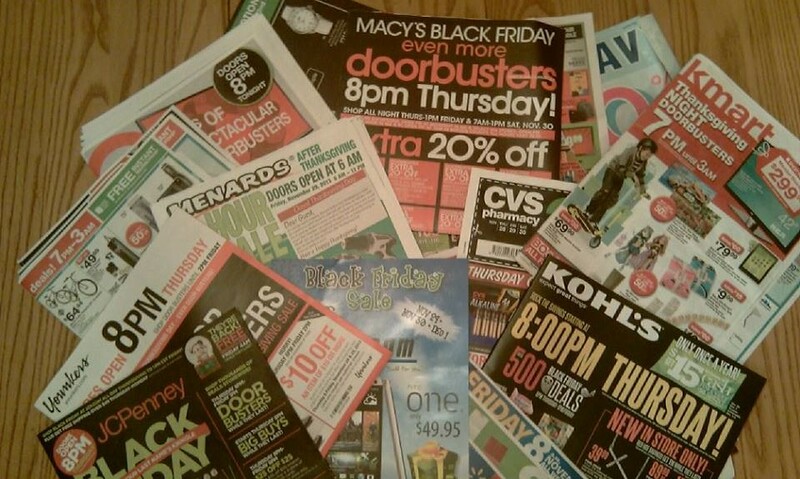 We went through each store’s ad, taking notes on the best sales that appealed to us individually or possible Christmas gifts. My boyfriend wrote down each store and the best sales at each one. The list was pretty impressive. We went through the list and decided what we were for sure getting from each store. This helped us narrow down the list of stores to 5. The next thing we figured out was the time to head out to the stores. Some stores were opening at 6 p.m., and we did not want to wait in long lines outside the stores. Also, it didn’t feel right going shopping so early on Thanksgiving. We headed out to the stores at 10 p.m. and were relieved to find a lack of people in the stores. We quickly found the items we wanted from each of the stores and enjoyed a speedy checkout. We finished shopping at 3 a.m. and ended up purchasing most of the items we had in mind before the trip. In all it was a successful trip because it was organized and planned ahead prior to leaving. This is the last post of the cheap date blog trio. 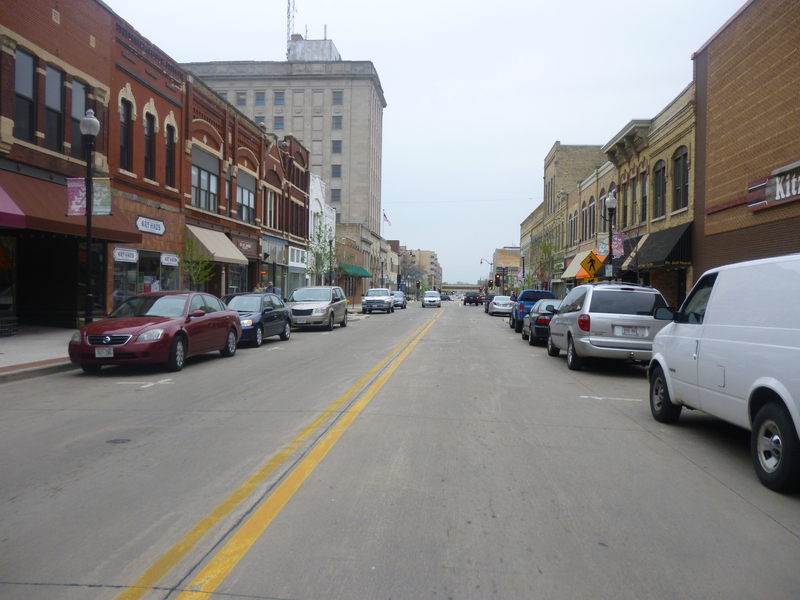 This one focuses on events and activities that are in the city or “out on the town”. When my boyfriend and I are in the mood to get dressed up and go on a date out in public, there are several things we like to do that are fairly inexpensive. My boyfriend and I have used numerous Groupons when it comes to dining out. Sometimes before we decide on what restaurant we go to we check the Groupon website to see if any restaurants in the area have a coupon. We have gotten a $20 gift certificate for a restaurant and only paid $10 for it! 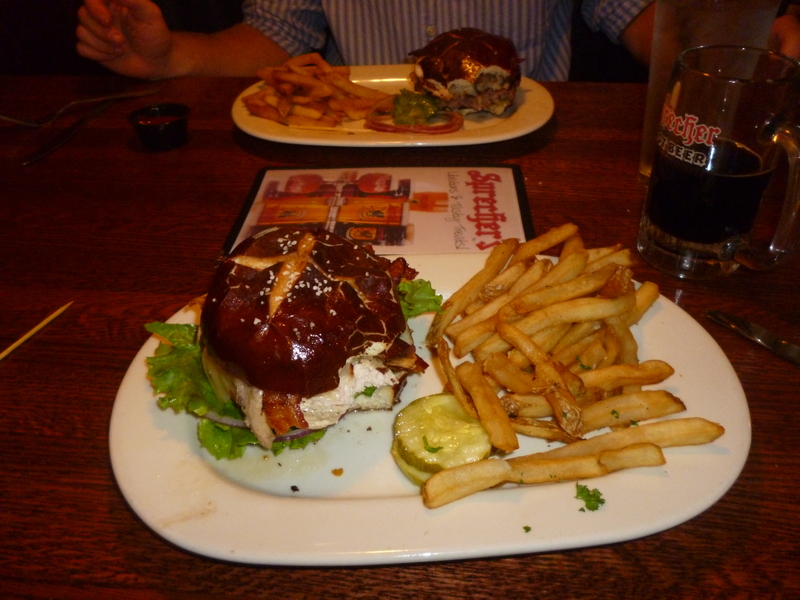 Groupon is a great way to save money and it is so easy to buy the certificate, print it and then go to the restaurant. Another way I get coupons for restaurants is by signing up for their loyalty programs. I signed up for the Buffalo Wild Wings email list and have received birthday coupons and a “buy one meal get one free” deal. Another way to eat meals for cheap is to pay attention to their weekly specials. For example, my boyfriend and I sometimes go to a nice restaurant that offers 1/2 price appetizers all night on Thursdays. We basically get a ton of amazing food for really cheap! Every month the city I live in hosts a downtown art walk. This is a free event where downtown businesses hang up the work of local artists for people to view. There is usually free snacks and drinks which make this event all the better! These events are a lot of fun to go to and discuss artwork with that special someone (not to mention being able to go for free). What do you like to do with your significant other when you want to go out for cheap? This is the second post to the cheap date blog post trio. This one focuses more on being active and enjoying the outdoors (while still saving money of course)! The ideas for activities and events that are outdoors are endless. I am just going to list some activities that my boyfriend and I have done that we really enjoyed. I live in Wisconsin where we have four very distinct seasons. Each season brings new events which makes dates even more exciting! 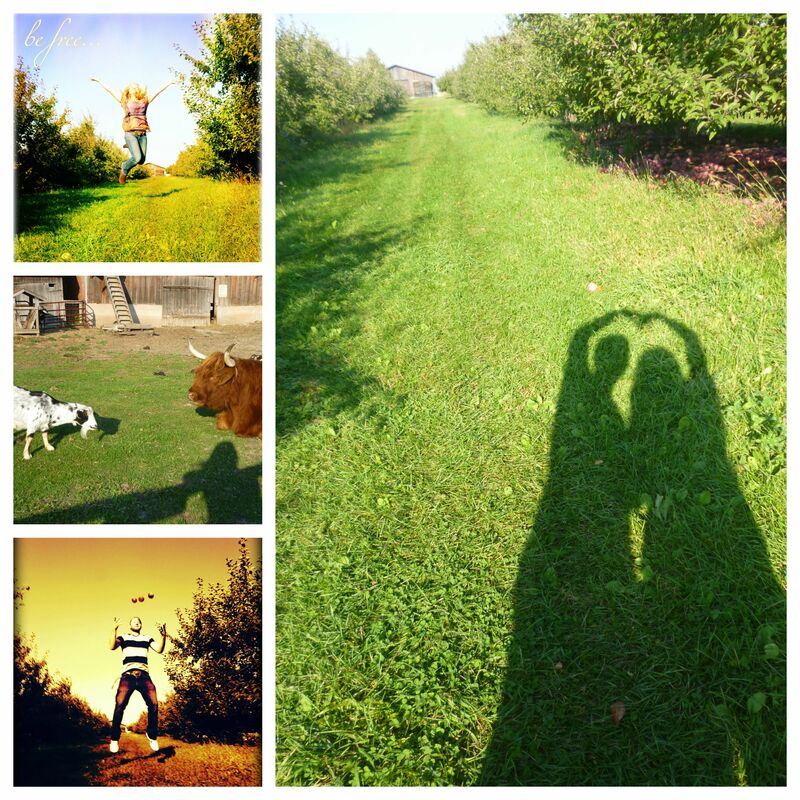 The most recent outdoor activity my boyfriend and I did was visit a rural farm called Little Farmer. It is free to visit this farm and they have many different activities and things to see. While we were there we got to eat homemade caramel apples (that were made right in front of us and the best I’ve ever had), pet goats and sheep, shop in the little farm house’s gift shop, go through the corn maze and take a bunch of pictures. It was such a blast and the only money spent was on the caramel apples! Pictures from that day are shown below. For three years now my boyfriend and I have gone to the Celebration of Lights which is an event that consists of driving through a mile long park filled with Christmas lights. What makes this so fun is because they have a radio station devoted to the show that as you drive through the spectacular lights, the music matches the light show! Oh, and they also have a house with real reindeer and a real Santa Clause that you can visit! Admission is $8 per vehicle or $7 with a non-perishable food item, which is not bad for a once a year event. 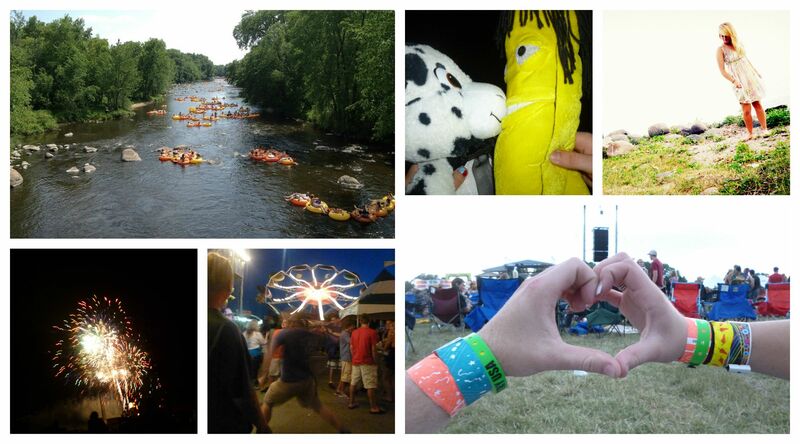 Local holiday events such as Sawdust Days which is a carnival and fireworks that celebrates the Fourth of July. As part of the cheap date blog post trio, this one focuses more on staying home or doing activities that don’t require much energy. Some days (especially after a long week of work) we just want to relax and enjoy time with our significant others. Here are a few things I’ve done when I’ve just wanted to lounge around with the boyfriend while not spending much money. Making crafts can be relaxing and a fun way to pass the time with your significant other. Whenever I am feeling crafty, I usually get ideas from Pinterest. There are so many inexpensive and easy crafts that can be found on Pinterest. There are numerous crafts I’ve posted to my boards on Pinterest that I look forward to hopefully getting to do some day. 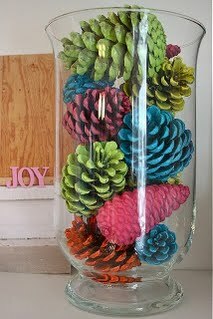 Some ideas are home decor projects (for example, is a holiday coming up that you want to decorate using items you made?) and personal interests. When getting ideas for crafts do make with your significant other, try looking at Pinterest boards for ideas. My boyfriend and I have done a few craft projects in the past; one involved creating bracelets for each other. One night while lounging around the house we were bored and decided to go to Walmart to pick up a few toiletry items. While there, we passed an aisle that was filled with items and kits to make your own jewelry. We thought it would be fun to create bracelets for one another. So we picked up a jewelry making kit for about $10 that contained some charms, wiring and clips. We then bought a separate package of just beads (to put on the wiring) for about $4. Lastly, we each picked out a big charm from the wall filled with individual charms that we wanted to add to the bracelet we were making for the other person. We each picked out a different style of heart. 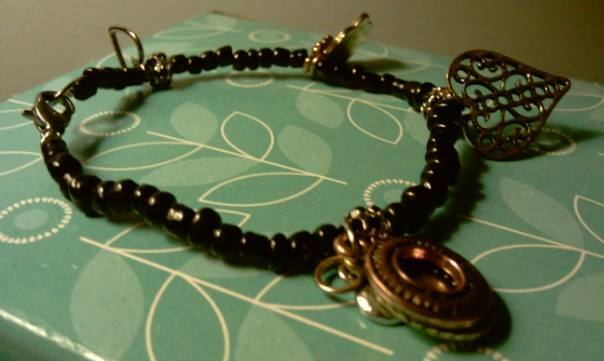 The final outcome of the bracelet my boyfriend made for me is shown below. I am amazed at how much I have learned about my boyfriend just by cooking with him. There are so many different techniques and ways to do things in the kitchen. I have come to realize that cooking with your significant other helps develop teamwork skills with each other. One afternoon my boyfriend and I had the whole day off and decided to pick up some fresh groceries and make a meal together. It was a lot of fun and in the end we made some really good food! Other than watching movies on Netflix or Redbox my boyfriend and I often travel 20 minutes to a value movie theater. Even though these movies are “nearly new” they are still a lot of fun to go see! On Tuesdays, the movie theater features $1.75 price per ticket! Every other day the tickets are $3.00 (matinee) or $4.00 (evening). Going to value cinemas is a great way to get out of the house, spend little money and enjoy time with your significant other. What do you like to do with your significant other when you want to relax? Are you a college student who is required to purchase textbooks for classes? If so, then you know how painful it is after purchasing all your books for a semester. College textbooks can be extremely expensive. Some of my classmates have spent $200 on just one textbook! I had to purchase textbooks for 7 semesters now and feel that I have mastered the tricks to “beating the system” when it comes to buying textbooks. When the book is created by the university or is a special edition made for the university these books cannot be purchased anywhere else. Workbooks that accompany textbooks are usually the same price in the university bookstore as they are elsewhere. When buying textbooks do not go with the first option you see, compare prices. The best price comparison website I have found for textbooks is dealoz.com. 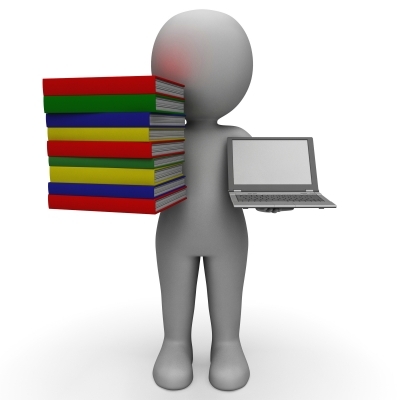 This website allows you to search textbooks and it will compare prices among tons of different websites. Dealoz constantly updates their lists so you won’t miss out on the best deals! One of the things you want to make sure you look at when buying textbooks online is the edition. Some books online are “international editions” which are significantly lower in price. These editions are almost identical to the U.S. editions, they just have different cover images. These editions are a great cost effective alternative. Textbooks are constantly updating to newer versions. These newer editions are usually only marginally different and just a way for textbook publishers to keep making money on textbooks that they have already made. For example, the only differences may be an added chapter or different examples. 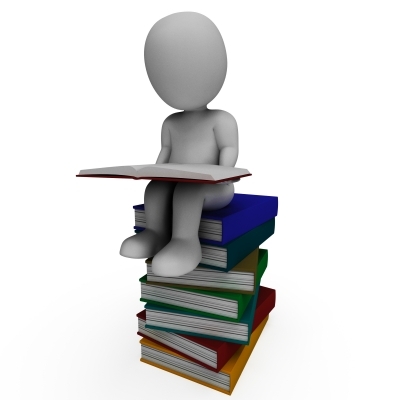 The core content of the book (definitions, explanations) is usually the same. I have purchased older editions of textbooks a few times and have not had any problems. If a homework problem was different, I simply asked a classmate for the question and was able to complete the assignment. If you are wondering whether an older edition is right for you ask your instructor. Many times the instructor has used the past edition and will know if there are any significant differences. Do you have a friend who took the same course you’re taking now, last semester? They may still have the book! For instance, I have loaned a few of my books to my boyfriend who has taken classes after me. If the person you know is looking to sell and get money for the book, they will probably be happy to get it off their backs by selling it to you for cheap. If you are not going to use that geology textbook ever again, sell it! Again, Dealoz can be used to search for the best buyback price. Avoid the university bookstore here as well! I once purchased a French textbook for just under $200 and then went to the bookstore at the end of the semester and they offered me $10 to buy it back! I went onto Dealoz and sold the book for $80. 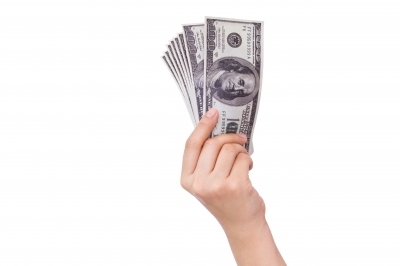 Many companies online will actually pay the shipping costs for you to send it to them. What are some ways that you have saved money on textbooks? Have you ever wondered where you can buy good quality fashionable clothes without blowing all your cash? I have found several stores that I continuously find great clothes for low prices. I always get excited when I get a chance to shop at a Marshalls store. Unfortunately, the closest Marshalls to where I live is 60 miles away. Whenever I am traveling, I make a point to try and stop at this store because I always leave the store with extraordinary finds. For those who are unfamiliar with the store, they sell name brand and designer fashion for up to 60% off the retail price. The image below is from the Marshalls’ Pinterest page. This crossbody purse was originally priced at $148 and was sold to a customer on clearance for $29! Goodwill and thrift stores in general are some of the best places to find unique items for low prices. I never know what I will find at Goodwill, and that’s what makes it so great! When shopping there, I find many unique pieces that are in perfect like-new condition. Some of my favorite finds at Goodwill would be professional attire. When shopping for professional clothing pieces at “brand-new” clothing stores prices can be very pricey, but when I went to Goodwill I found shoes, dress pants and suit jackets (Josephine, Worthington, Rue 21 and Christopher & Banks brands) of pristine quality for under $10! 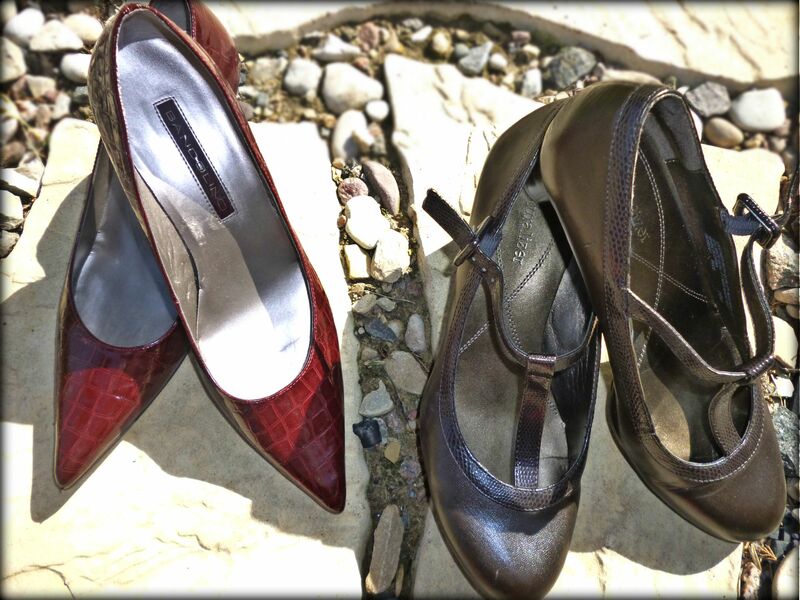 In fact, I found two pairs of shoes (Bandolino and Naturalizer brands) for only $1.99! The professional clothing items I have purchased from Goodwill are shown below. I am able to have a decent selection of professional attire in my wardrobe because I have found these items for tremendously affordable prices. Other stores where I find outstanding deals are Burlington Coat Factory and on the website buytrends.com. Although I have not yet purchased from BuyTrends, I have found many fashionable items for super low prices! What stores do you recommend for finding quality clothing at low prices? Recently I stumbled across a website called Freeflys that contained links to different freebies. The webpage is set up so that you can find different samples based on the category you are interested in. Each day, the website posts new samples that are available. Some products have a limit on how many samples they will give away so this website is perfect for getting the samples before they are gone. Once I signed up for a Freeflys account, I could not believe how many samples I could get! I started clicking every link that was interesting to me (mostly beauty and health) and signed up to receive many samples. I signed up to receive items such as shampoo, perfume and make-up samples. 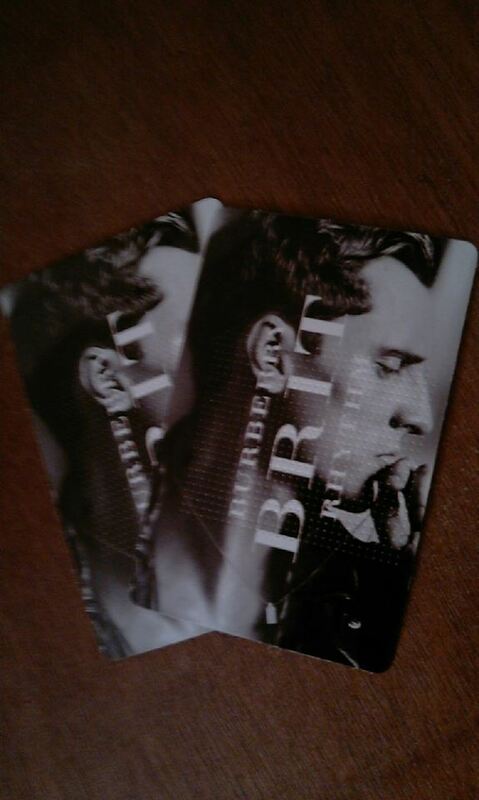 Since I signed up (about a week ago) I have received one sample, Burberry Brit Rhythm men’s cologne. The cologne sample was similar to one that can be found in a magazine. The package contained three cards that had powder underneath a protective plastic that could be rubbed onto the skin for a one-time use. Since it was a men’s fragrance I handed it to my boyfriend to test out. It smelled really good! I was a little disappointed that the sample was not in liquid form, but it was free, what can I expect? *Be on the lookout for more sample descriptions after I receive them in the mail!